Have you ever wondered what makes them so happy and ready for the day ahead of them? How do they go on the whole day, never running out of steam? What’s the secret here? Our primary suspect: North Indian breakfast. From light to heavy and mild to spicy, the variety of flavours in a North Indian breakfast is definitely heady and provides the much-needed boost to any day. Wondering what goes into a North Indian breakfast? You’ll definitely find one of these 5 dishes, or a variation of these dishes. So if you’re a North Indian far away from home or in the mood for something different, this list of North Indian breakfast dishes is all you need. Go on & dig in! No North Indian meal is complete without the staple paratha! While a thick curry isn’t ideal for the morning, Aloo or Gobi ka paratha compensates with its light and fluffy potato or cauliflower stuffing within the paratha. To turn it into a complete meal, add a dollop of butter on top and a big glass of lassi to wash it down. And hey, if the spice doesn’t suffice, there’s always chutney or dahi (curd) for dips! While some of us may find Kachori too heavy for a morning meal, North India loves a good kachori any time of the day, and more so as breakfast! There are so many types of Kachoris to try that you’ll never run out of options. You can also dress your Kachori the way you like it – spice it up with green chilli chutney, snack away with the tangy & sweet tamarind chutney or get a blast of flavours by pouring in both! 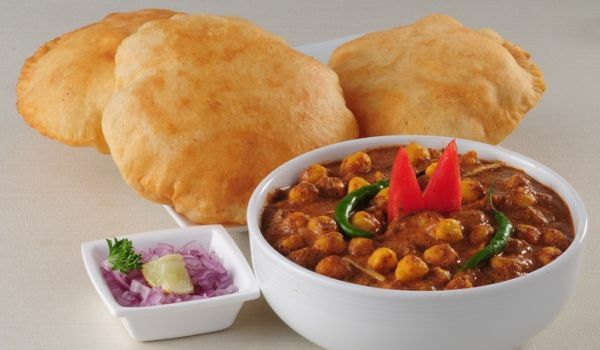 While paratha and kachori might feel like snacks for breakfast, Chole Bhature is a truly wholesome meal. A bite of these fluffy, steam-filled pooris wrapped around comforting, savoury chickpea curry is the gateway to heaven for every North Indian. While the pooris are just to scoop up the chole, the chickpea curry is prepared in a variety of ways from mildly flavoured to hot & spicy! While the omelette had its humble beginnings in a French kitchen, Indians have made it their own, with a twist. It’s easy to guess this twist, because what’s the first thing that comes to mind with Indian food? Obviously spice, better known as masala! 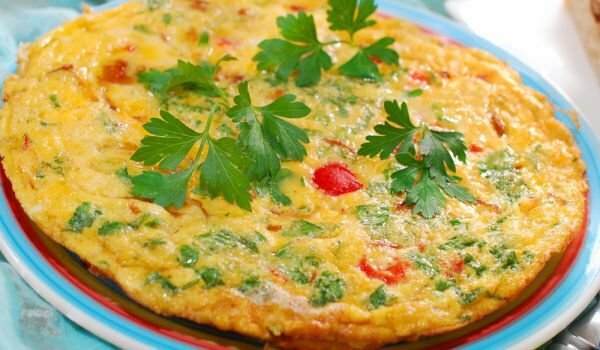 Not only is omelette considered a healthy way to start the day, but the added spices like turmeric, chilies and curry leaves make it quite the savoury delight! Made from flattened rice, Poha dishes out both nutrition and spice! 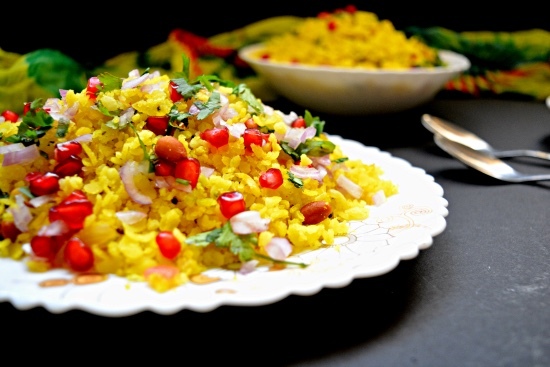 While Poha is a dish that is light on your stomach, it contains everything from delicious fried peanuts to spiced vegetables polka-dotted with sesame seeds. North Indians are known to pair their plate of Poha with syrupy hot jalebis. We definitely agree with this zingy combination! You now know what North Indians love waking up to in the morning. Our tip? Order in a North Indian breakfast in bed for a great start to your day. Fire up the Swiggy app now! Previous articleOn A Parantha Parade? Here Are 5 Delhi Parantha Places You’ve Gotta Try!